At the age of 16, Maggi moved to London to live with her brother. Having met his sister off the train, he took her straight to Trident Studios, where he was recording his first solo album ‘Slaughter on 10th Avenue’, to sing backing vocals on ‘Love Me Tender’. She also sang on the track ‘Girl Can’t Help It’ on ‘Play Don’t Worry’, his second solo album, she even decided to give the backing vocalists a name this time – The Microns. Maggi’s musical career progressed, singing with Johnny Johnson and the Bandwagon of the Sweet Inspiration, Honey Bee and Blame it on the Pony Express fame, touring cabaret clubs, working men’s clubs and Air Force bases across the UK. She joined forces with fellow backing vocalist Della Williams in 1977 to record a song called ‘Don’t Bring me Down’, along with Geoff Appleby, who had played in The Rats, who recorded and joined forces with Mick to play on and tour the Ian Hunter album in 1975. Maggi and Della furthered their collaboration singing BVs with Phil Rambow and Colin Lloyd Tucker, both in the studio and for live performances., and of course, she continued to perform and record with Michael. In parallel with her musical career, Maggi worked at Newland Children’s Homes and completed her nurse training at Hull Royal Infirmary. Having returned to Hull when her younger brother David became ill, Maggi went to the US for a short while after his recovery, and then returned to London to qualify as a Paediatric Cardiotharacic Nurse at Great Ormond Street Hospital. Maggi’s vocal talents are not just limited to popular music. Having been classically trained, she also sings choral music in chamber choirs, operas and operettas and is a keen supporter of her local community choirs. She continued to sing in her local choir whilst raising her family, and still sings occasional BV’s for The YellowMonkey in Japan and Colin Lloyd Tucker albums. 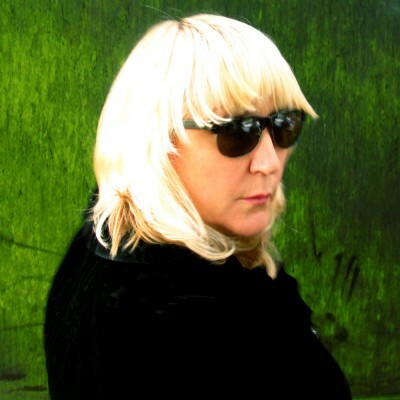 In 2011 Maggi recorded Born Running along with fellow BV’s “The Pistillettoes” (Tracie Hunter and Liz Westwood) for Glen Matlock and joined Glen on tour in the UK and the US. In the same year Maggi also sang BVs for friend Tracie Hunter, and on the ‘Inner Nutshell’ CD for Colin Lloyd Tucker. In 2012 Maggi joined Heesay, Hiro and others in a Mick Ronson Remembrance day in Tokyo,Japan and also attended the Bowiefest at the ICA celebrating Ziggy’s 40th anniversary. For Michaels’ 20th anniversary in 2013 Maggi has recorded her own album “Sweet Dreamer” a tribute with friends, to offer their love and respect to one who was so integral to their lives: whether it be as a brother, a friend or from a musical respect to the talent and diversity of his work. Sweet Dreamer a musical memorial to my brother Mick Ronson. To live in the heart of those who love you is not to die.